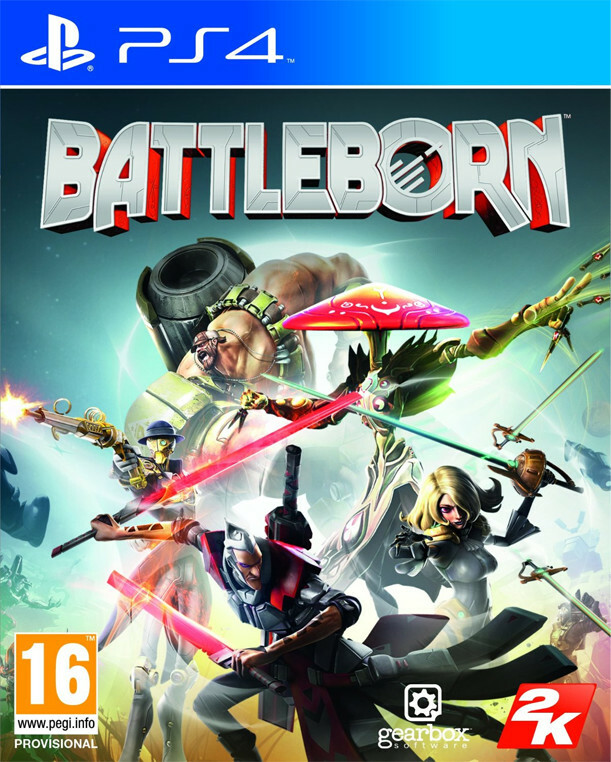 Battleborn: I would like to start off by saying how excited I was to play this game. I got in to the Borderlands games when they first came out and achieved a platinum trophy on both Borderlands 1 and 2. As well as that, I then rebought the games for the PS4. So it is important to understand that I am a fan of Gearbox, and first-person-shooters are my type of game. The game starts in all the right ways – you have these Pixar-style graphics which reminded me of some of my favourite anime shows. Then, out of nowhere I hear a blast from the past: Del The Funky Homosapien (I can only assume as Deltron 3030) rapping whilst I watch a really cool prologue. It is worth adding that, even though the prologue looked and sounded immense, I didn’t really have a clue what was going on… sadly this will be an ongoing theme in this review. This game offers you a number of different modes, but when you play it first, you must finish the prologue. Rookie error number 1: don’t pause the prologue to make a cup of tea, then end up having a nap on the sofa, because if this happens, you’ll have to play all of the prologue again, even if you were right at the end. Yes, this game will time out as it has been made through connection to servers and they will only host you for a period of time. This did annoy me and I definitely didn’t make the same mistake twice… I did. Through some extensive research I managed to find out what the story is actually about. So here goes: A catastrophe happened, which led to a great range of species fled to a star called Solus. All these different species decided to unite and fight against the evil doers: Varelsi. Sadly, the story is one of the biggest let downs in this game. Even though it has an interesting start, it just never really gets going. I would say it didn’t help that when I first played the game, I went for an online story (there are two options – online story mode and private story mode), this was a big mistake. Without any knowledge, I found myself and four other randoms playing the third level and not having a clue what was going on. A few deaths later, and I decided that I would play through the game in private mode first. The story still didn’t really make much sense or have much backbone; however, at least it presented me with a fairer challenge, as I improved and understood more of the basic gameplay. As I have alluded to, there are 2 main modes to this game: campaign and multiplayer. However, the campaign has two modes which are private and public. I had a terrible first experience with the public mode. I was playing with four other gamers who all seemed to be level 4/5 already (God knows how). One was running around like a headless chicken, two were playing normally and one seemed to only want to get killed. You see, because you area all a team, you share an amount of respawns – I found this out the hard way. 30 minutes into a mission, in which I had no idea what was going on, I saw the dreaded “game over” sign. I cursed. I screamed. And I didn’t have a darn clue what had happened. Then I clocked – that guy who kept on dying wasn’t only losing his lives, he was losing our lives. I gave the public story one more attempt, but our team died right on the final boss, leading me to deicide that I was now going to play this game in private mode. This was relatively harmless apart from my previous grievance that it runs on a timed server. After completing the game I decided that the online multiplayer was worth a twirl. You see sometimes I try and stay away from these modes. I get ever so addicted and end up giving a ridiculous amount of hours to a mode I don’t even really see any progress in. But, like any modern day hero, and for the sake of the review, I risked my marriage and went for it. I absolutely loved what I got, but felt like I didn’t get enough. It reminded me of when I was first bought an N64, but they were so expensive that no one could afford to buy me a game. There are three main modes: incursion (where you need to defend you base and destroy the opponent’s base), Capture (where you need to hold down areas and gain points) and Meltdown (where you must guide minions towards an incinerator – nothing like a bit of burning). This is where I felt hard done by. Only three different game modes… where’s the team deathmatch? Where’s the Free for all? I know some will argue that those game modes are better left to the CODs of this world but I just feel it would have really benefited this game. What you get is good, but what you could have got may well have been amazing. Go to page 2 for more thoughts on the game plus conclusions.